While Zinedine Zidane is to use the Copa del Rey second leg match versus Fuenlabrada to test out a number of youngsters, Gareth Bale is the headline name of a trio of stars returning from injury. Along with Keylor Navas and Mateo Kovacic, the Welshman will start against the Segunda B outfit having spent the last 63 days on the sidelines. 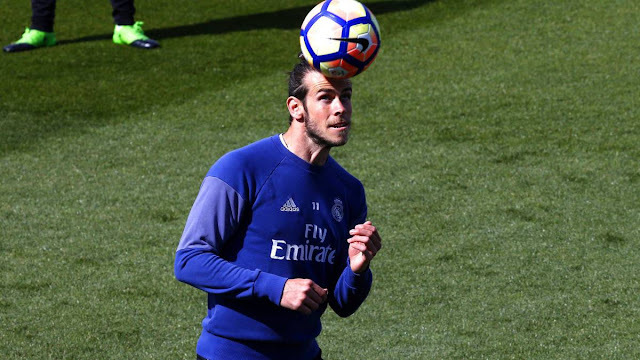 Initially falling foul to a fibrillar rupture of his calf muscle when facing Borussia Dortmund on September 26, Bale's return was then delayed by a similar problem to his hamstring. "Great to be back in training with the guys, been a tough month but working hard to get back out there," he tweeted ahead of the game. When looking ahead to Tuesday's game, coach Zidane insisted that Real Madrid's BBC attacking setup is again at the forefront of his mind. "But I do want to see all three, Cristiano, Bale and Benzema, playing together, because I haven't seen them play together for a long time," he told reporters. "[Bale] will be with us tomorrow. The idea is for him to play [against Fuenlabrada]. I want to see Bale at one hundred percent as soon as possible, but I cannot say when he will be at that stage."